JewelStreet is home to over 600 independent jewellery brands from across the globe. After hand-picking emerging names, JewelStreet provides an online platform for these talented designers and artisans to thrive and reach new audiences. 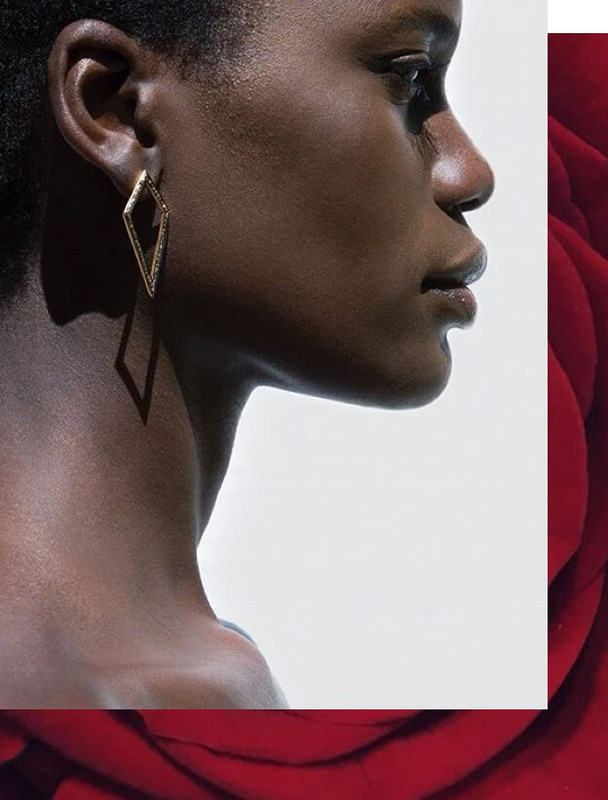 From London to Paris, New York to Milan, JewelStreet seeks out creative design, expert craftsmanship and ethical practice to present the best new brands and their finest pieces to the world. The client’s previous ecommerce store was on Magento. They needed a better solution; a scalable platform which would give them greater flexibility over managing their website. Shopify Plus offered the perfect answer. 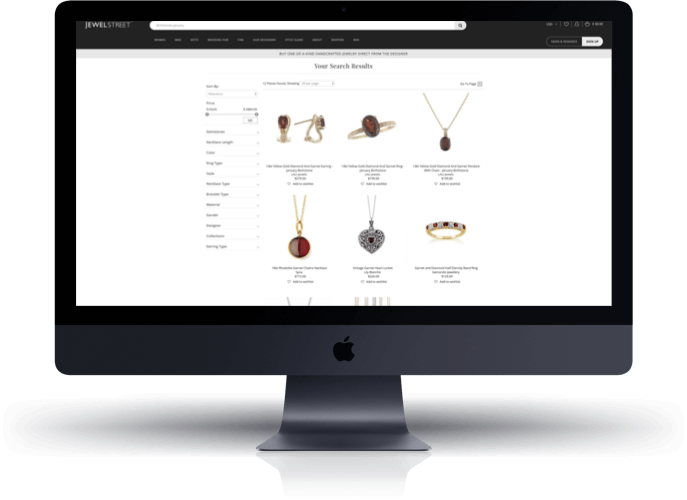 It would give control over individual jewellery designer information, such as product upload and homepage design. The enhanced security and additional benefits of Shopify Plus also helped make the decision to switch. There were some specific requirements within their brief; a fully flexible jewellery designer page, and country-specific product pages. 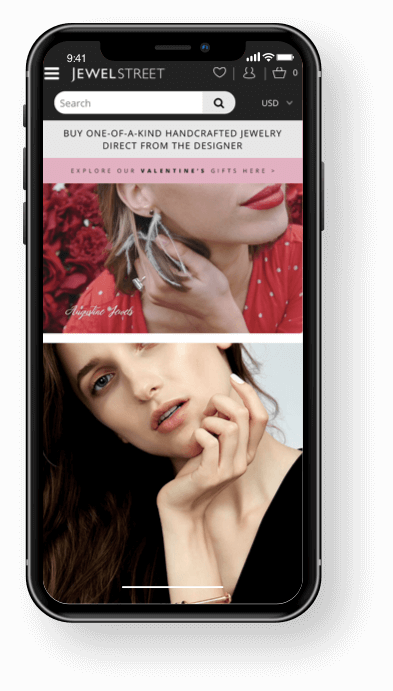 They also needed a bespoke shipping solution to allow each store to display different shipping and tax rates on a designer and country basis. The next step was to engage the services of a trusted and authoritative Shopify Plus Partner. They needed an agency with the knowledge to manage the Magento migration seamlessly, as well as having the in-house skills to design and build a beautiful and functional new site. Using a template as a starting point, which we customised to suit the brand’s look and feel, we translated their vision into a contemporary, stylish online store. With over 600 individual designers to consider during the process, there was a clear technical challenge to address. An extensive product catalogue with over 150,000 SKUs, and over 200,000 URLs to redirect prior to store launch this was a project that took all our expertise to deliver. A cloned store approach was taken, which allowed users from Europe and the US to checkout in their local currency. Users from other countries are taken to the main US world store. The site makes use of seamless store switching, so even if GBP is displayed on the product page, the currency and country switcher takes the visitor to the correct page on the US or EU store, depending on user selection. A custom ‘estimated delivery date’, bespoke to every product from each designer, deals with many variables effortlessly. There are many subtle design elements which enhance the user experience, such as displaying each designer’s country and city, unique to each vendor. We also took advantage of our own Shopify App, ‘Contact Forms’, which enables each designer to have their own individual contact form. 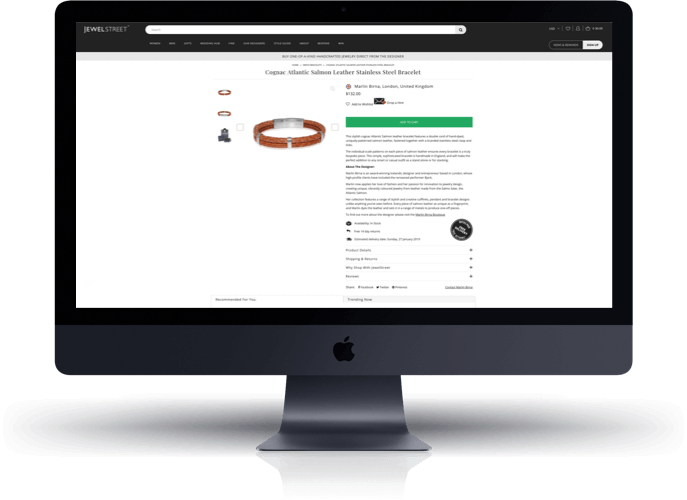 The product page template is flexible - as many products are made to order, it meant bespoke features needed to be added to the page on a product-by-product basis. Two custom shipping matrices were built: one for the shipping rates and one for the duty rates. We then added the normal shipping rate plus the duty cost of sending from GB to the destination. This demonstrated our ability to build intuitive and useful systems into stores to give merchants the flexibility they need.